The Haven Zoo, Inc., a 501c3 non-profit organization, founded by JohnieSue Thurman is located in the Atlanta, Georgia area. Our mission is to establish a permanent, loving home to displaced exotic animals where they will be provided with a diverse diet, an educational habitat and enrichment activities. Our goal is to inspire and educate the public about exotic animals and the conservation issues they face worldwide. The zoo immediately focuses on rescuing animals categorized as “threatened, endangered or critically endangered” by the International Union for Conservation of Nature (IUCN) Red list, animals rescued from unfit homes and animals previously used in laboratory research. 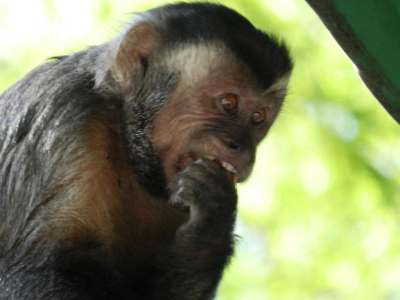 We are one of the only zoos in Georgia to care for macaque species and spider monkeys (Genus: Macaca and Ateles), as well as a plethora of other primate species not currently residing in a facility for educational purposes in the state of Georgia. We also focus on rescuing large cats, exotic birds, sloths and other exotic animals. By providing unique, hands-on, interactive experiences for visitors, The Haven Zoo will promote public awareness of conservation issues and animal welfare. The zoo will develop and implement an international survival plan for endangered/critically endangered species once we gain national footing in conservation efforts. The Haven Zoo’s founder and CEO, JohnieSue Thurman, has been working with exotic animals for over 14 years in the Atlanta area as well as volunteering and interning at a zoo in Florida for the past 9 years. While volunteering, she has cared for 15 different species of primates, 7 species of large cat species, exotic birds, and other exotic animals. JohnieSue earned her Master’s degree in Anthropology from Georgia State University in 2014, where she focused on human and primate interactions in Rio de Janeiro, Brazil. She received an international affiliation with the Federal University of Brazil to complete her undergraduate and thesis research in Rio de Janeiro. She presented this research at the American Anthropological Association’s national conference in 2013. In the summer of 2015, JohnieSue was invited to be a guest lecturer on her thesis research and an assistant for the Field School in Applied Anthropology in Rio de Janeiro. 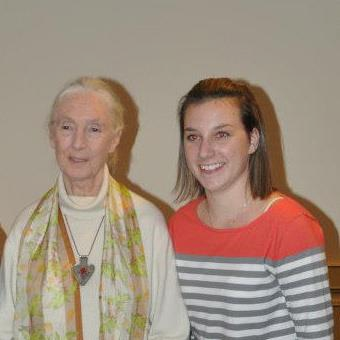 While she was completing her Master’s thesis, she also conducted another original research project where she visited 15 zoos on 4 continents, in order to analyze each animals care, habitat, diet, enrichment activities, and each zoo’s efforts to educate the public on conservation issues. She presented this research at the Zoological Association of America’s National conference in 2013, the American Anthropological Association’s national conference in late 2013 and the Society for Applied Anthropology’s national conference in 2014.